Yesterday, my friend Kelly came over to meet Princess Piggy Poo in person. As usual, Princess Piggy Poo preferred to be safely tucked inside her hiding house. Naturally, I wanted to show off my pretty guinea pig. Without thinking I just lifted her hiding house and Princess Piggy Poo began to run around her cage. I picked up Princess Piggy Poo to let Kelly feel her soft fur. I was a neglectful mother not recognizing Princess Piggy Poo’s distress. Kelly noticed Princess Piggy Poo was nervous so I put the hiding house back in place. The sure sign of Princess Piggy Poo’s anxiety was when I offered her a toilet paper roll filled with Italian parsley; my fraidy-cat cavy didn’t go near it. I thought once Kelly and I left the house, Princess Piggy Poo would emerge and enjoy, but I was wrong. It wasn’t until Princess Piggy Poo and I were alone again that she attempted to munch on her now-wilted parsley. I felt bad and gave Princess Piggy Poo some fresh sprigs. It’s not always easy to tell if your prey animal loves you. When I see Princess Piggy Poo chomping hay outside of her hiding house or staring at me while she eats her pellets, I know she’s at ease — definitely a sign of love. 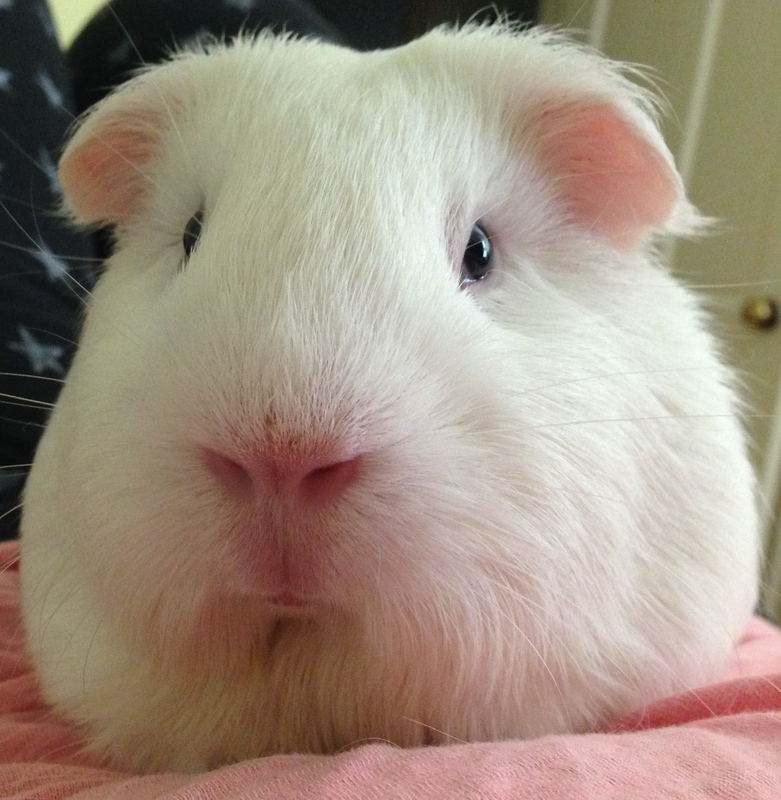 This entry was posted in Uncategorized and tagged cavy, guinea pig, hay, hiding house, italian parsley, love, prey animal, princess piggy poo, toilet paper. Bookmark the permalink.